Jerry is new in the estate. He is outside with his club. This club’s name is the Club of Mysteries. “So Jerry are you ready to help us in our first mission?” asked Tom. “Our first mission is to go into the haunted house with Jim and Tim and find a bracelet, a ring, glasses in a case and an earring,” commanded Tom. “So what lies ahead of this door?” wondered Jerry. “I found the bracelet and the ring,” shouted Tom. “Jerry also found the earring and glasses,” roared Jim and Tim. Great work Szymon! I loved the plot of the story and you’ve used a lot of grammatical techniques very well. It was also nice to see you use the third person and make up your own characters which can be difficult. Keep up the good work! 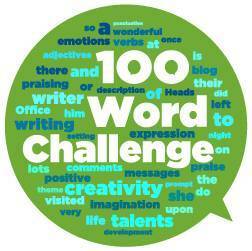 Well done Syzmon on completing your first 100-word challenge. You did a super job! I wonder what their next mission will be? I really enjoyed this story Szymon. This sounds like a club initiation. I like your use of verbs – ‘shouted Tom’ and ‘roared Jim’. You also did a great job with your use of ‘speech marks’. Well done Szymon. I like your story because it had a very good ending.